A species of Europe and western Asia, the most common one of the genus in cultivation on this continent and the only one generally escaping. Fields, thickets, yards, roadsides, and disturbed sites. 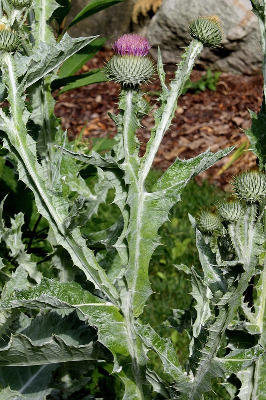 First collected in 1894 in Wayne Co.
A striking, robust plant with conspicuously winged stems and spiny-margined leaves covered with a cobwebby tomentum. The phyllaries are extremely numerous and taper into a long apical spine. MICHIGAN FLORA ONLINE. A. A. Reznicek, E. G. Voss, & B. S. Walters. February 2011. University of Michigan. Web. 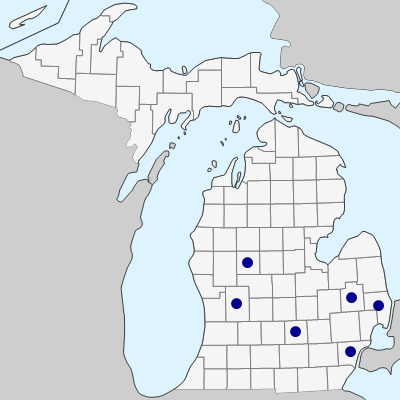 April 19, 2019. https://michiganflora.net/species.aspx?id=412.